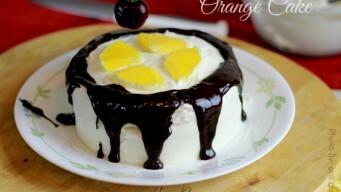 Orange Cake is made with real orange pulp. Baking in cooker without Sand or Salt. Uses Egg with Baking Powder. Recipe video with step by step pictures. 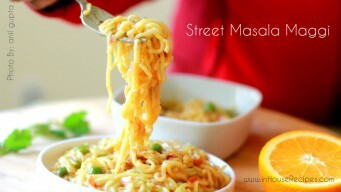 Street Masala Maggi with vegetables is sold at street side vendors outside offices in India. 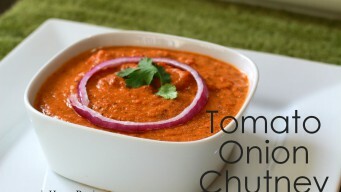 Each serving has 440 calories with added ingredients and spices. 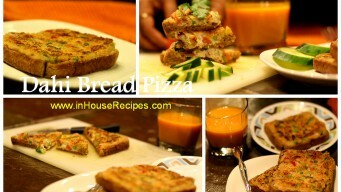 Bread Pizza with dahi or curd and rava is a simple snack and an adaptation of Italian Pizza. Make it easily with plain sandwich bread quickly in 5 minutes. 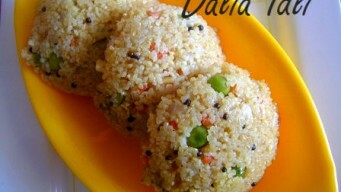 Vegetable Dalia Idli is an instant healthy snack made with porridge / Dalia. Kids love this broken wheat Idli in Lunch box. 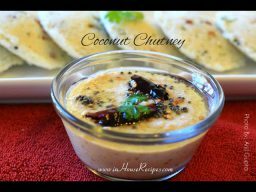 Enjoy with Coconut Chutney.